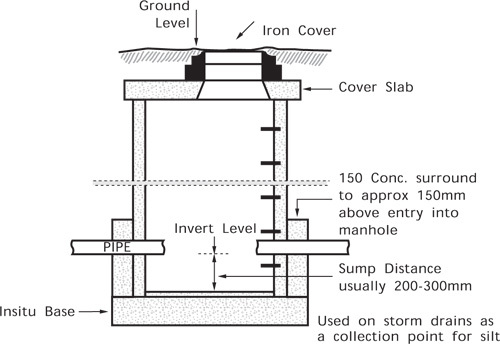 A manhole is the name given to the construction of an access point to pipes in both sewage drains (foul) and surface water drains (storm). These access points are usually situated at the beginning, end, or change of direction, diameter, level or at intermediate points in a long straight line of pipe. Their use is to provide access to the pipe for inspection or rodding purposes. 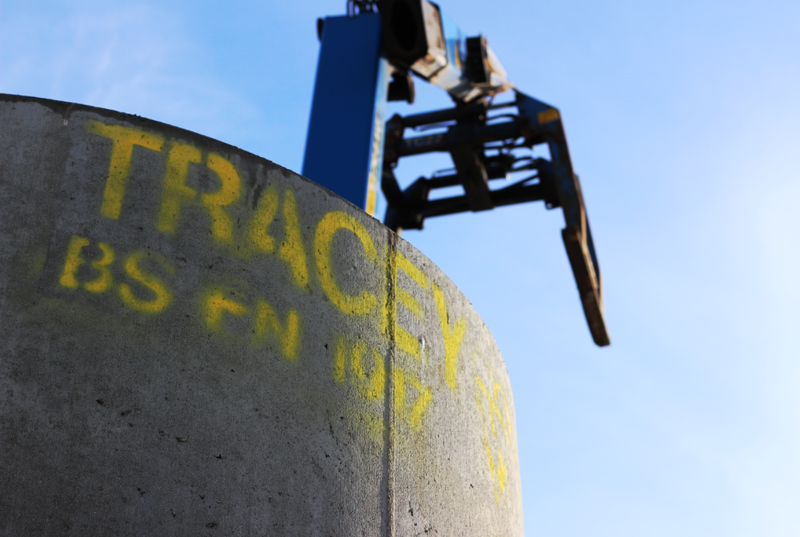 Tracey Concrete manufacture 2 types of manhole rings, Standard Manhole Rings and Watertight Manhole Rings. The standard (most common) is manufactured with a Tongue & Groove joint and a standard wall thickness. Our New Watertight Manhole Ring is made with a Spigot & Socket rubber seal and a thicker wall. 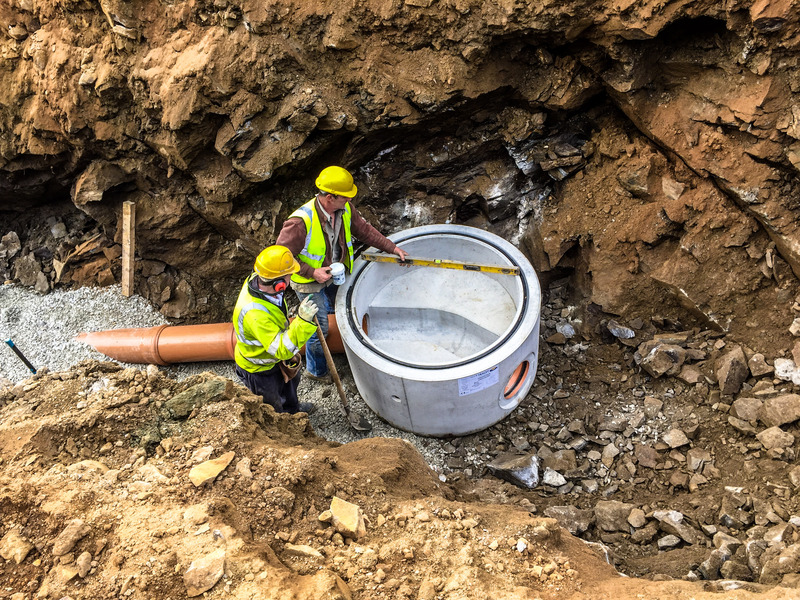 The advantages of our Watertight Manhole Ring is that no concrete surround is needed to be poured, saving time and is a safer system for installing onsite. This is the name given to a circular pipe placed in its vertical position and used at access points to drains. 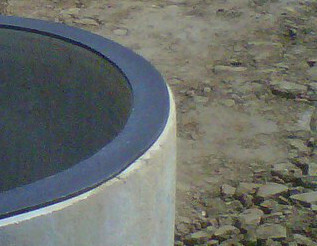 Manhole rings and cover slabs are designed to BS5911-3, BS5911-4 to withstand pressures up to motorway standards. They are used as an alternative to insitu concrete or brick manholes and are less expensive because of their fast and easy method of construction. 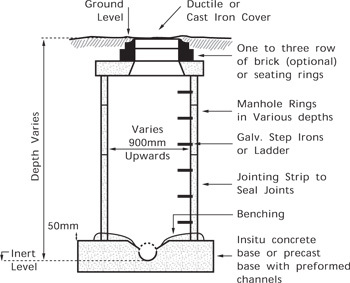 Manhole rings and cover slabs to suit are manufactured in various depths and diameters to facilitate the range of pipe diameters and actual depth on site from ground level (GL) to invert level (IL). 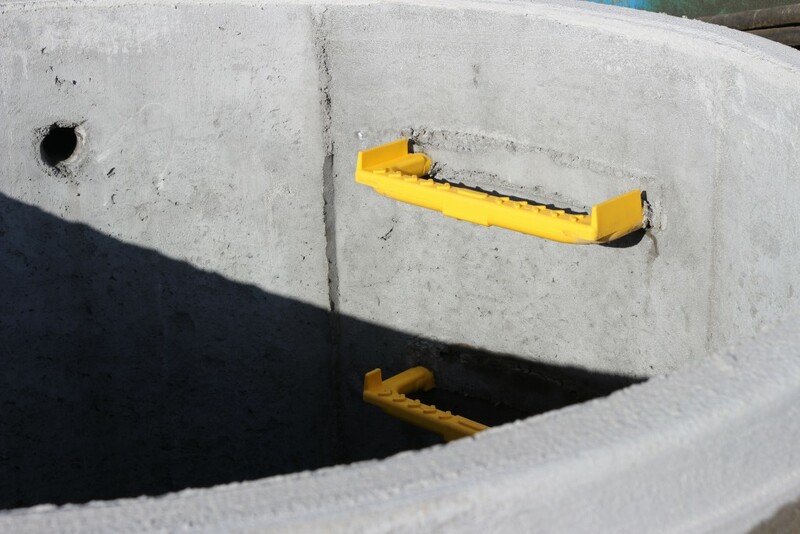 A concrete base is needed at the bottom each manhole chamber, these can be poured in situ (readymix concrete) onsite or preformed off site like our Perfect Base System. Our Perfect Base saves time, costs and is safer than in situ methods. Because of the high cost of treating sewage, manholes should be watertight to prevent infiltration of surface water into manholes. Therefore the joints should be sealed with an approved mastic strip and the lifting holes provided in each component should be properly sealed with 3:1 sand and cement or approved sealant. 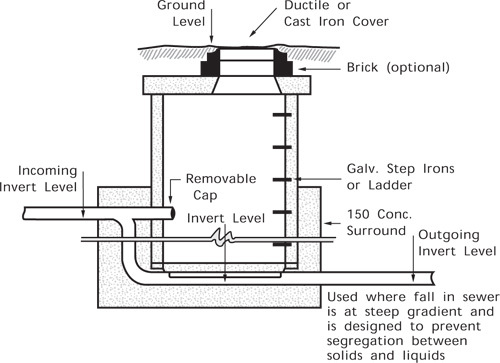 To enable service engineers access down the manhole to the pipe, galvanised steps or plastic encapulated rungs or complete ladder should be fitted. No step required if distance from (GL) Ground Level to (IL) Invert Level is less than 1.0 metre. Steps, usually placed at 300mm vertically are used if the (GL) to (IL) does not exceed 2.5 meters. Where distance is greater than above, then a complete ladder may be required. 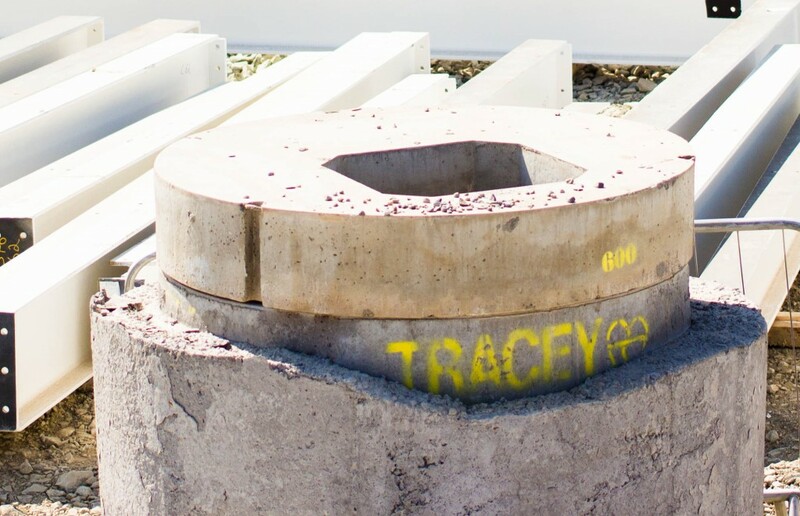 Reinforced manhole rings generally do not require a concrete surround for strength purposes or where depth does not exceed 4.5 metres. 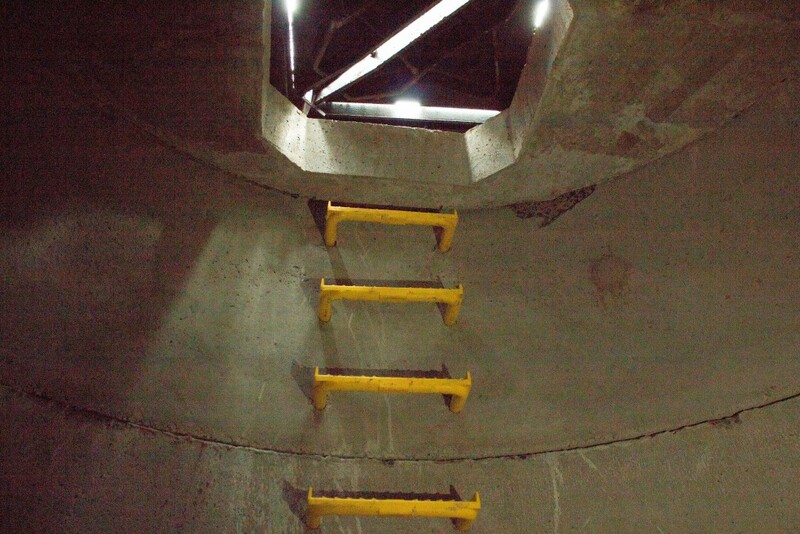 However, below this depth, or where an opening is cut through a manhole on site, depending on its size in relation to Diameter or depth of ring, then a 30N Concrete surround 150 mm thick may be required or as Engineer specifies. (eg in situations of high water table). 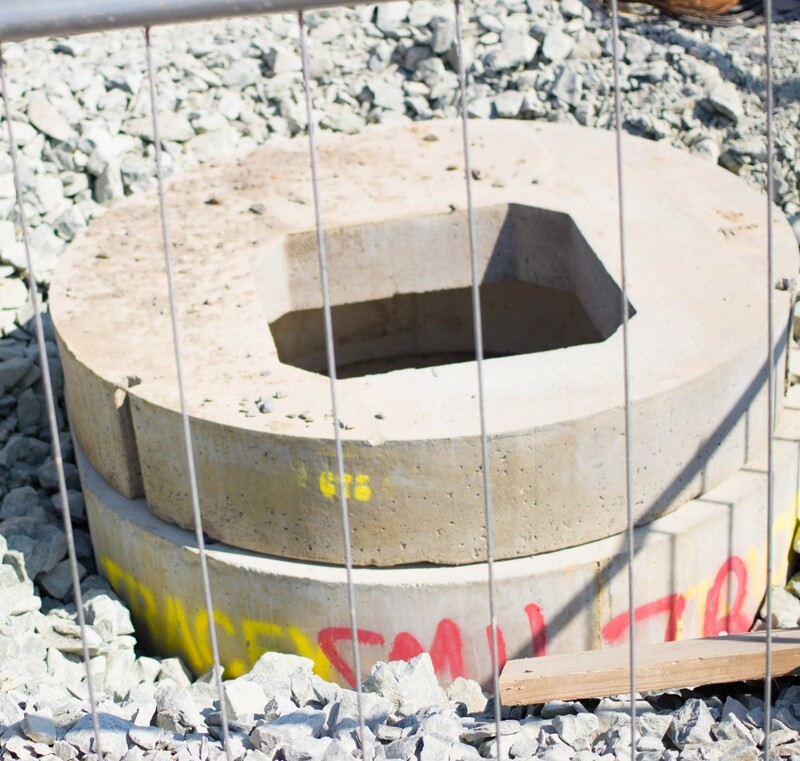 Manhole rings should be carefully back filled with granular material, free from boulders which may cause damage. 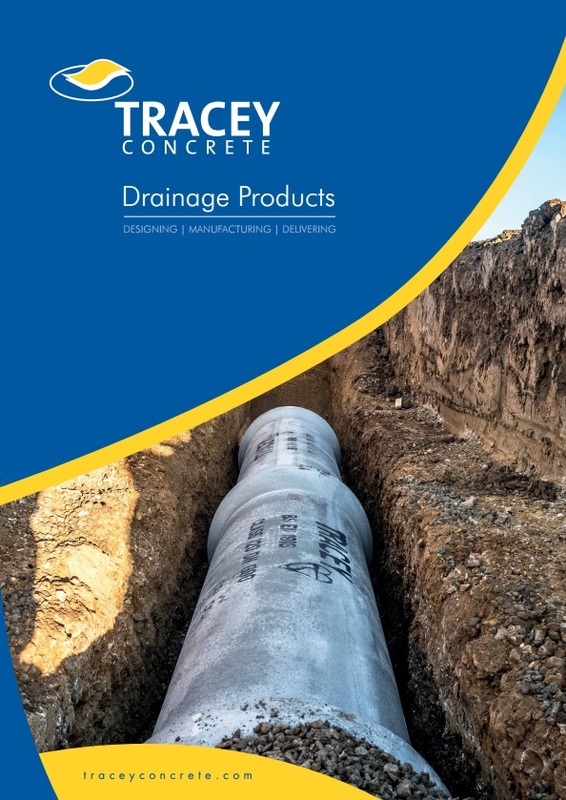 Note: The details given on this brochure are only intended as guide lines, therefore the engineers or specifiers details should be taken as final, as details vary depending on site conditions.